This episode was brought to you by GoHealth Urgent Care. Fitness is the foundation of our well-being, yet so many of us struggle to make it a daily part of our lives, whether that’s due to time pressure, motivation, or even negative associations with sports growing up. 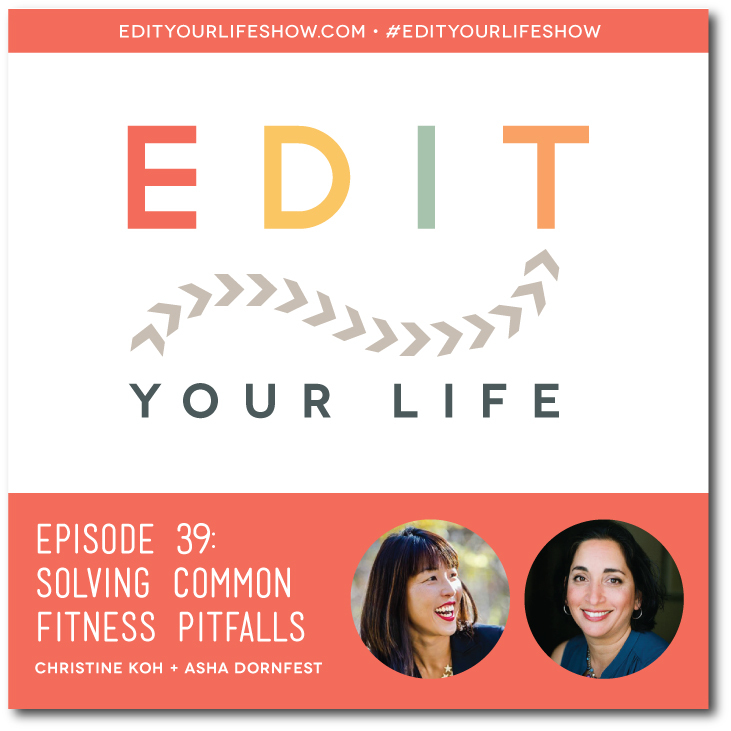 In Episode 39 of the Edit Your Life podcast, Christine and I talk about 8 common fitness pitfalls and offer practical solutions to handle the obstacles and get moving — all without needing a ton of time, money, or grand goals. GoHealth Urgent Care treats each and every person with a superior level of care and kindness. Offering effortless access to care through online check-ins, walk in appointments, integrated medical records, and modern facilities, GoHealth Urgent Care offers a superior level of care and empathy without sacrificing speed or convenience. They currently offer locations in New York, Oregon, Washington, and California and have plans to expand across the country. GoHealth Urgent Care partners with leading health care systems to give you a best-in-class network of providers for after care – perfect for when your primary care physician is unavailable and you don’t need the emergency room. GoHealth Urgent Care is here to offer a more emotionally gratifying experience than traditional urgent care. Because when you matter, you shouldn’t have to wait, or be rushed out and forgotten.